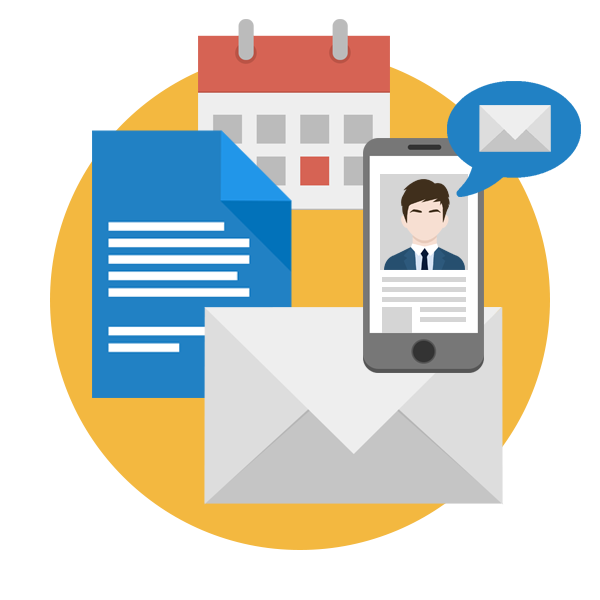 Email Hosting Services for Business | Webservio Inc.
Get reliable business communication tools with a hosted email service. For most businesses today, email service is as essential as electricity or a phone connection. For that reason, Webservio offers only the most reliable hosted email solutions that provide the best value, including security, maximized uptime, collaboration, and other customizable features. Choosing to use Webservio gives you access to expert engineering assistance 24/7 and a dedicated account representative to provide ongoing consultation. Since Webservio also provides multiple spam filtering options, MX backup, email continuity, and other hosting services, you can find all the solutions you need in one place. Why Have a Hosted Email Service? Better uptime and integrated email management and collaboration tools give your business a competitive edge. 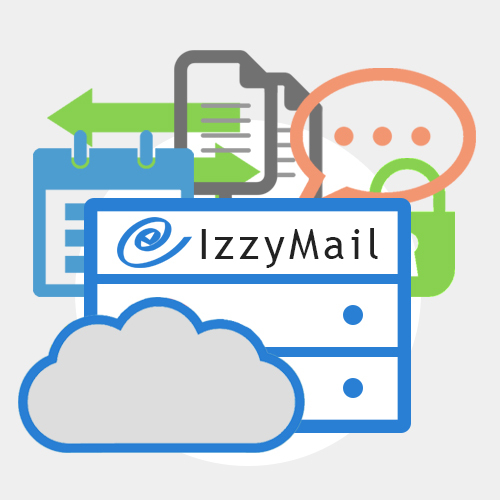 With an in-house mail server, it is easy for service interruptions to occur due to loss of power or internet connection, not to mention damage from high winds or flooding, equipment failure, or network attack. Hosted email data facilities have layers of failover precautions, including multiple internet connections, backup power generators, and server redundancy. For additional protection, MX backup and email continuity service can be included. All hosted email options come with a Service Level Agreement (SLA) that specifies uptime, data backup policies, and other guarantees so you know you are getting a service you can rely on. On the rare occasion when something does go wrong, you have an expert team at the ready. In many cases, they are probably working to resolve the issue before you even notice it! In an ideal world, technology can bring people together and help them work smarter and faster. But unfortunately, many businesses are hampered by email solutions that are outdated, unreliable, or unable to keep up with a growing organization. This kind of situation can really slow down work progress as well as frustrate employees and IT staff. With a hosted email solution, you have guaranteed service levels without the burden of systems management. When employees are equipped with the right tools, it makes for a more satisfying work experience and allows them to focus on the projects that really matter. All of Webservio's email hosting options also include productivity and collaboration tools such as calendars, chat, automated email sorting, file sharing, and more. A Webservio consultant can help you pick the solution that will best fit the way your team works. Data security is more important than ever, and email is no exception. In fact, it is one of the most vulnerable systems, and many data breaches originate from email-based intrusions. Therefore, all of Webservio's hosted email solutions include cloud-based email filtering to stop spam, viruses, and other dangerous emails before they make it to your email system. These services receive automatic updates to protect against the latest email-based threats. Webservio's email hosting services can also incorporate other management and security measures such as email routing, encryption, data loss prevention, signatures or disclaimers, email archiving, and more. Custom backup policies and email continuity options are also available to fulfill the requirements of any business continuity plan. When using a hosted email service, there is no need to purchase new equipment or alter your existing network infrastructure. Management access is provided via online portals that can be opened using any internet browser. You can add users and services at anytime, making it simple to scale your business with new employees, locations, and productivity tools. Users can access their email from any computer or mobile device, and with many of the services calendars and contacts can be synced automatically. The versatility of hosted email makes it ideal for businesses of all sizes. Small operations benefit by getting top-level service at an affordable per user price. Growing businesses or large organizations are able to easily scale and add new users, departments, or office locations. With Webservio's hybrid solutions, you can even combine different types of email services to give each team or division the right set of tools. Whatever the situation, Webservio consultants specialize in bringing multiple services together into an integrated solution that helps your business work better than ever. An internal email system requires large amounts of bandwidth and electricity, especially if spam filtering is also done within your network. As a result, utility costs are higher and your employees’ may experience a sluggish internet connection. When your IT staff don't have to manage on-premise systems, they are able to focus on higher value projects that give your business a competitive edge. Hosting internally is not just more expensive, it also comes with fluctuating costs. With a hosted email solution, you have a predictable monthly payment for a given length of time. There's no equipment to purchase or maintain, and you can easily scale up and down with a predictable budget. In addition, moving or adding offices becomes much easier when you don't have to take mail servers and other IT infrastructure with you. Do the math for your company and choose the email service that's right for you. If you're not sure which solution would be the best fit, schedule a consultation to get a recommendation for your particular scenario. Weservio even offers hybrid email hosting to give you the best of both worlds by integrating your on-premise system with a cloud-based solution. 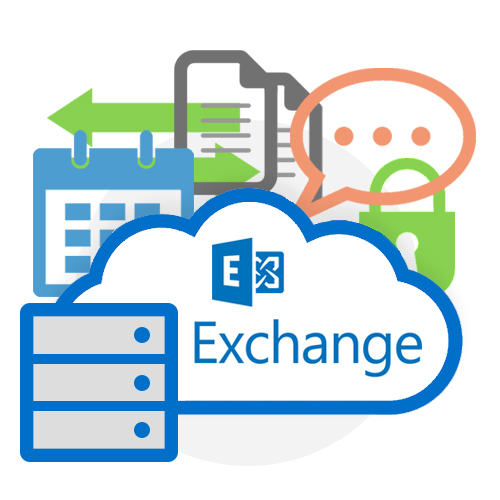 If your organization is accustomed to using an in-house Exchange server, Hosted Exchange allows you to make a seamless transition to the cloud while keeping all the familiar features and tools you rely on, like Sharepoint and Lync. Webservio's Hosted Exchange includes a 99.999% uptime guarantee, online management access, unlimited mailbox storage, and instantaneous sync across multiple devices. Hosted Exchange also meets compliance standards for HIPAA, FINRA, and other regulations. 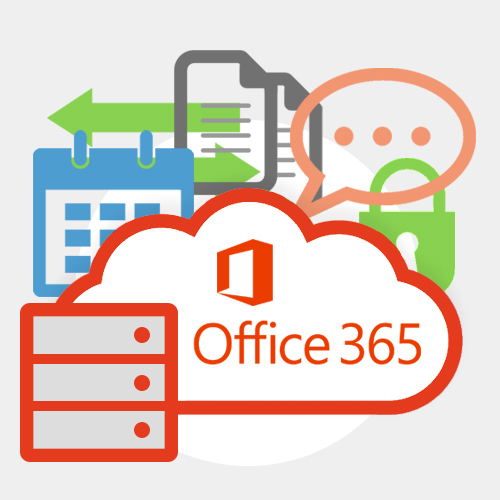 Office 365 is a popular solution for small businesses due to its inclusion of email service, collaboration tools, and Microsoft Office apps. Your employees can continue using the familiar programs they rely on, like Outlook, Word, and Excel. In addition, team planning, video conferencing, screen sharing, real time document edits, are just a few of the additional features that could become indispensible to the way you do business. G Suite allows you to use Gmail email service with your company's own domain name. In addition, you get the familiar Google apps like Drive, Docs, Hangouts, and Calendar along with special apps to create business documents and websites. G Suite is an excellent choice for teams working remotely. 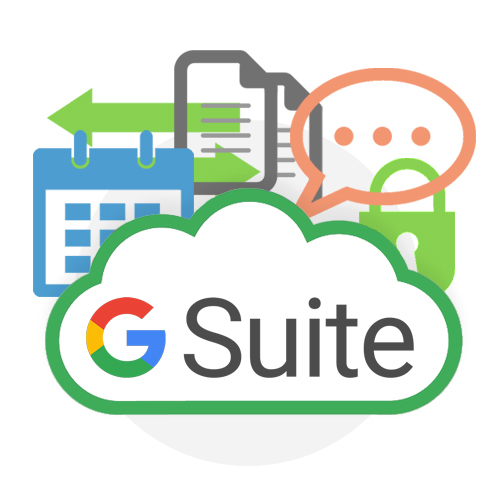 If you are already using Google services for collaboration, consider taking your work to the next level with G Suite. Have you ever migrated an email system? How did it go? Moving email data from any environment to a new service can be a tricky process that requires quite a bit of advance planning. Fortunately, you don't have to do it yourself!